Malaysia Gifts Fair 2018 is Malaysia’s Official Largest Gifts, Premiums and Stationery Fair featuring creative retail gifts, promotional premium items, specialty printings, product packaging on display and many more. 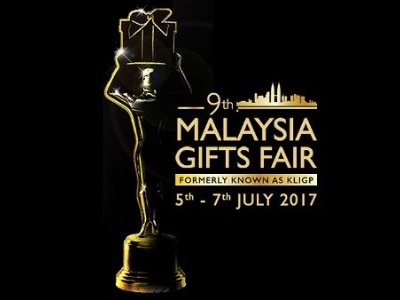 After 9 successful years of being known as KLIGP and the first Malaysia Gifts Fair held earlier in July 2017, we are will continue the rebranded Malaysia Gifts Fair tradition and remain as ASEAN’s largest Gifts & Premium Fair. This year, in line with our 10th Anniversary campaign, our event will be held at the most prestigious venue at TheKuala Lumpur Convention Centre located next to the iconic Petronas Twin Towers in the heart of Kuala Lumpur city! With its proven track record, The Malaysia Gifts Fair 2018 is the perfect platform to showcase your products to tens of thousands of visitors each year, to gain ample business opportunities and to expand your network of contacts. 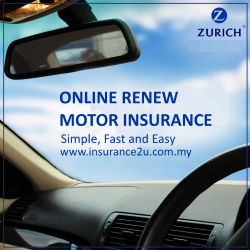 Be part of where the action is. 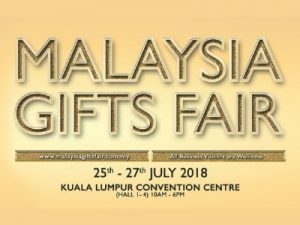 The theme for The Malaysia Gifts Fair 2018 will be focusing on our 10th anniversary of the fair existence, reflecting the event as one of significant size and importance; a major destination showcasing an elaborate and diverse display of innovative gifts ideas of different countries and cultures. Discover The Latest Gifts Ideas at ASEAN’s Largest and Most Innovative Gifts Fair. After 8 successful years of being known as KLIGP, we are now rebranded as Malaysia Gifts Fair and remain as ASEAN’s largest Gifts & Premium Fair. This year, in line with our rebranding campaign, we have upgraded our event to a bigger and more prestigious venue – The Kuala Lumpur Convention Centre located next to the iconic Petronas Twin Towers in the heart of Kuala Lumpur city! With its proven track record, The Malaysia Gifts Fair 2017 is the perfect platform to showcase your products to tens of thousands of visitors each year, to gain ample business opportunities and to expand your network of contacts. Be part of where the action is. The theme for The Malaysia Gifts Fair 2017 is “The City of Gifts” reflecting the event as one of significant size and importance; a major destination showcasing an elaborate and diverse display of innovative gifts ideas of different countries and cultures. The targeted visitor is 12,000 and this grand fair is highly assured by Malaysia Gifts & Premium Association (MGPA), endorsed by the Malaysia External Trade Development Corporation (MATRADE) and supported by the Malaysian Federation of Textiles, Garments and General Goods, Branding Association of Malaysia, the Singapore Gifts Association and Thai Gifts, Premium & Decorative Association. 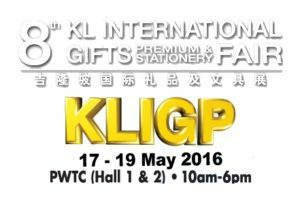 Showcasing exhibitors mainly from the gifts, premium, stationery and its supporting industries, KLIGP 2016 aimed to increase the participation of international exhibitors and to organize the biggest South East Asia gifts and premium exhibition that comprise most of the ASEAN countries. 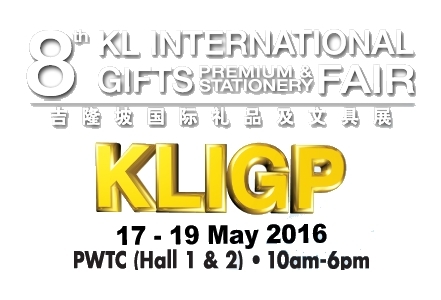 KLIGP 2016 will features the latest gift and stationery product innovation in the forms of acrylic products, apparel & garment, bag & luggage, ceramic products, crystal products, cutleries, desktop accessories, embroidery services, glass wares, greeting cards, handicrafts, IT & electronic products, jewelries, laser engraving services, leather products, novelties, office accessories, packaging, paper products, pewter products, porcelain products, printing services, school suppliers, souvenirs, stationeries, timepieces, trend merchandise, toys & games, watches and clocks, wooden products and writing instruments. Keeping up with its glorious tradition, KLIGP 2016 will also be organizing its series of events with a major twist this year inline with its gifts centric motivated theme. Hence the tagline – All About Gifts. 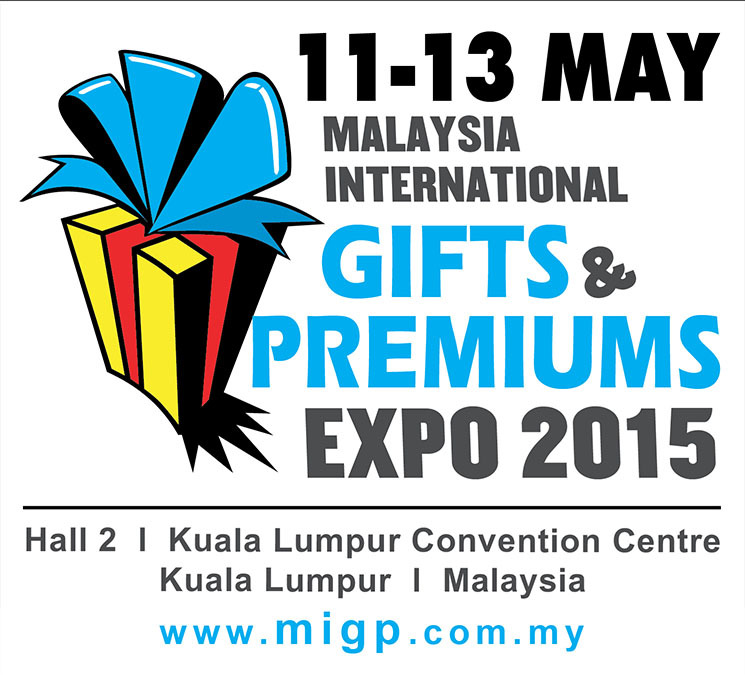 The Malaysia International Gifts and Premiums Expo (MIGP Expo) will be back to meet the needs of corporate purchasing decision makers, who are looking for a trade directed event to connect them to potential gifts and premiums suppliers at a condusive environment. MIGP Expo is not a marketplace but a focalised business event for the gifts and premiums companies who are prepared to meet decision makers from a cross section of industries such as the government sector, the loyalty programmes sector, the hospitality sector, the MICE sector, the multinational companies and the private sector companies. 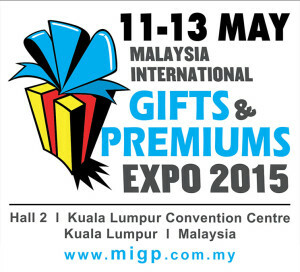 MIGP Expo is a golden opportunity to showcase what you have to offer to those who are sourcing for gifts and premiums. The visitors of MIGP Expo are your potential customers who wish to make a difference in their choice of gifts and premiums and in turn help your company make that difference among your competitors. Don’t miss the opportunity to be part of this dedicated trade gifts & premiums event! It’s an event that opens the door for you to reach out to the thousands of untapped buyers from the corporate world!